Are you looking for an economical method of paving or resurfacing your Worthington Springs driveway or parking area? Chip Seal (also known as tar & chip paving) offer the perfect solution. Duval Paving, LLC has been implementing the chip seal method of repaving Worthington Springs, Florida driveways and parking lots since 2011. Many of our customers are impressed with the value and beautiful look of chip seal paving. Why Chip Seal Your Worthington Springs Driveway? Chip sealing can be used on just about any paving surface in Worthington Springs. This method provides excellent traction and durability. Unlike asphalt paving, tar and chip paving isn't as susceptible to fading and deteriorating from sunlight and harsh temperatures. 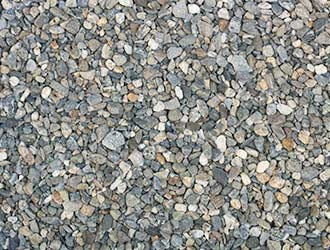 In addition, Worthington Springs chip sealing is actually less expensive than asphalt paving! The paving experts at Duval Paving, LLC do one thing, and they do it well! Our Worthington Springs paving experts are hand-selected and thoroughly trained in the most current and effective practices for applying chip sealing. When you call Duval Paving, LLC at (904) 201-2161, you'll be provided with a reasonably, written estimate and a professional crew that's ready to provide top quality service to you. The job is not complete until you are completely satisfied!